Climate change isn't a problem of the future, it is a pressing concern that requires urgent action. The National Climate Assessment issued by the U.S. Government last week reaffirmed that climatic changes are triggering wide-ranging impacts in every region of our country, and throughout our economy. 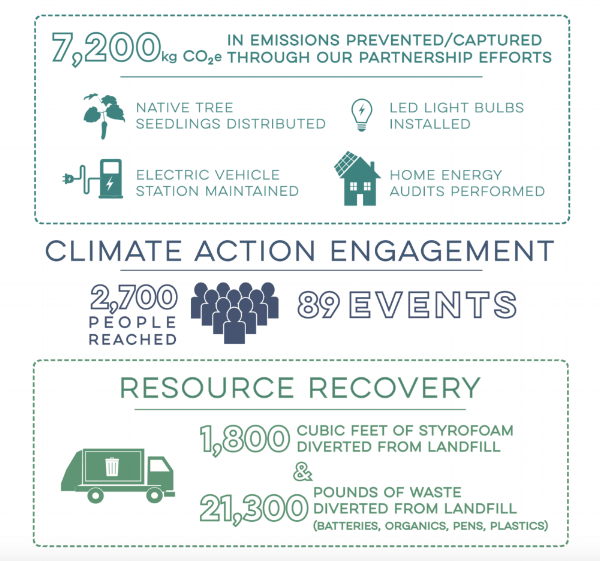 Locally, we have taken a leading role to promote climate action. We made substantial progress in 2018 on the development of Princeton's Climate Action Plan, a strategic plan to reduce emissions and make our town more resilient to climate change, but there is still much to be done. Sustainable Princeton was awarded $10,000 from the Church & Dwight Employee Giving Fund, Inc. The check was presented to (pictured left to right) Diane Landis, Executive Director and Christine Symington, Energy Director by Holly Bartido, Associate Project Manager at Church & Dwight Co., Inc. The donation will be used to fund Sustainable Princeton’s Neighborhood Ambassador Program launching in 2016.